1200 Acqua | Luxury Apartments in Petersburg, Virginia close to Fort Lee. Petersburg, Virginia's Premier Luxury Apartment Community! The Ancient Romans viewed water, "acqua", not only as a necessity of life but also as a thing of beauty. 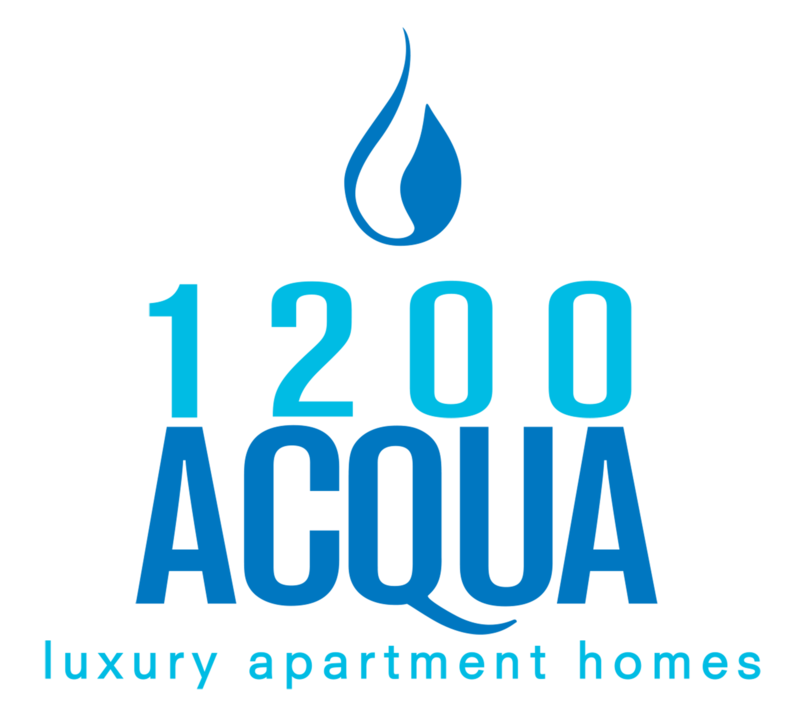 1200 Acqua Luxury Apartments is a community centered around Roman lifestyle values. Minutes from the city, but just far enough to rest and recoup from the busy world. Our tranquil apartment homes are architecturally appealing open floor plans that offer flow throughout the home. Stay in touch with nature through outdoor amenities provided for you and your pet! Enjoy an active community with monthly resident social events and on-site entertainment areas for your pleasure. Save time and money with our 24-hour fitness center, car care center, resort-style pool and hot tub, fire pit, outdoor entertainment space, and bark park! Make the most of your time and live as though you have time, on your hands. My husband and I are on our 2nd year living here at Acqua, the apartments are beautiful. We really like the convenience of having a gym, pool, and a car wash area right where we live. I also enjoyed Courtney she was the person who showed us around the apartment complex and whatever we had questions about she answered them and if she didnt know she researched and got the answer for us and she responded quickly with a phone call or email....i definitely recommend her. I have had nothing but a positive experience coming to 1200 Aqua! I absolutely love it! This gated, secured community is beautifully landscaped and is very peaceful and quiet. Other residents I've met are really friendly and nice. The amenities surpass anything I've experienced also. They even have a car wash! The staff is professional, friendly and accommodating. My leasing agent was Mary and she is simply fantastic! I really like 1200 Acqua. Its the nicest apartments close to the base. The office staff is always friendly when I pay my rent and I'm glad they got faster internet. I have lived here for 2 years and it’s the fastest its been ever. My husband and I have been residents of 1200 Acqua for about 6 months and we LOVE it! I have never lived in an apartment community prior to 1200 Acqua and initially had my reservations due to the typical stories I've heard about noisy neighbors, less than perfect amenities, etc. My reservations about this community immediately went out of the window the moment we went for our tour and met Mary.